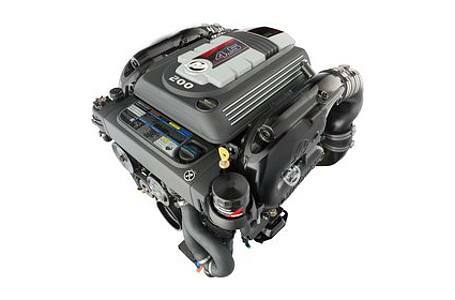 Named Top Product by Boating Industry: The Mercury Marine 4.5L 200hp sterndrive is a 2015 Boating Industry Top Product of the year. The winning products were selected based on many factors, including innovation, impact on the industry, and how they advanced their category or created a new category. 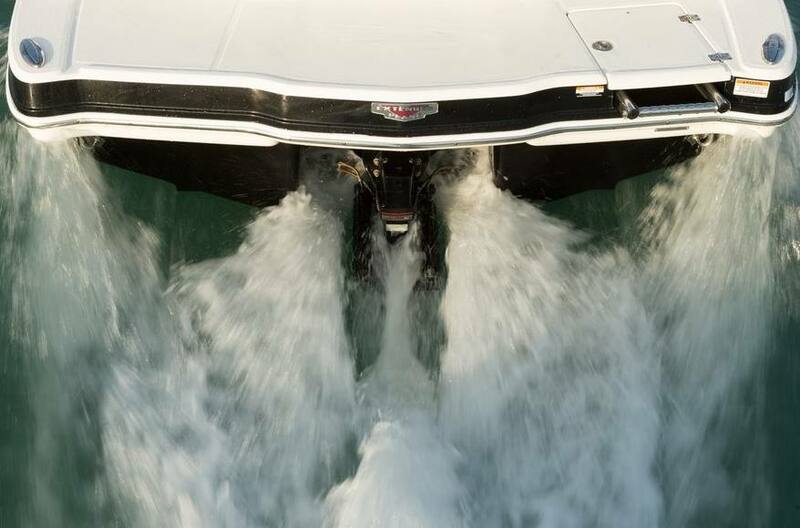 Built for Marine: Designing a V-6 block solely for marine use allows Mercury to build the 4.5L with the ultimate protection system, using cast-iron componentry where the engine intersects with seawater, and using corrosion-resistant aluminum and composites everywhere else. Powerful Performer: Thanks to its new, long-runner scroll intake manifold which draws in more air and converts it into additional torque, the 4.5L delivers a ground-breaking power-to-weight ratio and gives you V-8 power in a V-6 package. Smooth & Quiet: The 4.5L’s newly designed rear-facing throttle body, anti-whistle throttle plate, engine cover and mounts, lightweight flywheel, fuel-supply module, and structural oil pan all work together to deliver a superior idle, smoothness and low vibration. Resulting in an exceptional driving experience. Sporty Handling: The 4.5L comes standard with Adaptive Speed Control, which automatically maintains engine rpm regardless of load or water conditions. The result is increased throttle response and a sporty feel. Easy to Maintain: When service is required, maintenance is a snap with the front-mounted drive lube monitor, color-coded maintenance points – including easy-to-reach oil filter and fill – and “how-to” videos that can be accessed via the QR code on the label.